Fresh flavors, from boat to table. Southernmost serves up island cuisine, with a unique twist. Just 90 miles from Cuba, indulge in dishes equally inspired by our Caribbean neighbors, classic Americana, and Asian-fusion—all conceived by our brilliant head chef, Michael Slattery. There’s a dining location to suit every mood and occasion. Listen to live-music poolside with a cocktail in hand while diving into grilled flatbreads. Grab a burger and settle in for a game of foosball. Share an intimate, beachside bistro dining experience on America’s Southernmost Point. Whichever you choose, you’ll be met with locally sourced ingredients, friendly staff, and a great view. Just 90 miles from Cuba with the beach as its backdoor, the Southernmost Beach Café serves up local flavor and boat-to-table freshness with a little twist. Treat yourself the Café’s uniquely Southernmost menu, a blend of Caribbean and Asian fusion cuisine conceived by head chef, Matt Slattery. Experience true Southern hospitality from the beautiful poolside Pineapple Bar. Relax and unwind with an extensive list of beers and wines, or our signature cocktail—a pineapple caipirinha made with a freshly muddled Florida pineapple. Cheer on your favorite team from the bar TVs or enjoy house-made flatbreads while you listen to live music. Southernmost’s hottest spot. The perfect place to take in stunning views of the Atlantic and South Beach while sipping our signature Key Lime Colada cocktail. Enjoy the same Caribbean-Asian fusion favorites available at the Southernmost Beach Café, with some added light bites and American classics on our Shores Bar menu. A reprieve from the midday sun, experience the ultimate in laidback Key West cool at the Sand Bar. Sip on local craft beer and refuel with a bar and bites menu that offers a taste of the tropics mixed with classic Americana like our locally-sourced Mahi sandwich with signature Key lime aioli. With games, drinks, and great food, the Sand Bar is the ultimate in beach casual chic. We believe in taking care of the very thing that sustains our wonderful menu and stunning views. 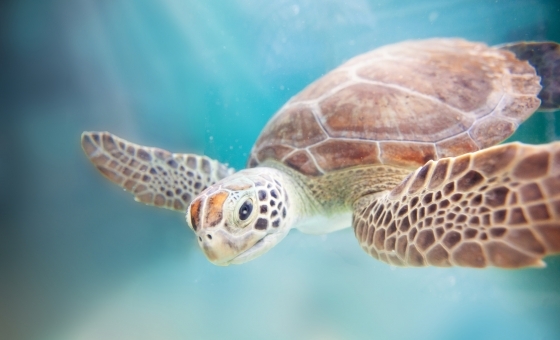 Not only are we next to the ocean, we’re dedicated to protecting it as well. That’s why we’re making strides to go as green as possible, by using paper straws coated in beeswax and recyclable bamboo fibre containers instead of plastic to help lighten our impact on the environment.